Over 17 years ago I took the leap in deciding to educate my son—who was my only child at the time. It didn’t seem like a daunting task for me since I had already been teaching him. That’s just my natural bent. I teach. It’s as natural to me as breathing air. So homeschooling seemed like a perfect fit. On top of that, my son LOVED learning. So teaching him was fun. I would teach and he would learn quickly, easily and excitedly. Ahhhh….A match made in heaven! If only it had stayed that way. Fast forward a few years. Now I’m a mom to not only 1 child, but 4. Now I had lots of little people who were totally dependent on me for almost everything. The controlling side of me loved that. I was able to decide what they learned, the kind of people they were around, the books they read, what they ate, etc. But the I-have-one-shot-at-this-and-I-have-to-get-it-right side of me found having my children depend on me for everything to be overwhelming and fear-inducing. And if my burdens weren’t heavy enough, I added another self-imposed burden. The burden of trying to do what I thought others around me were doing. All the other moms seem to be able to do it all. They baked their own bread. They ground their own flour. They kept their homes organized, cleaned, and beautifully decorated. They made sure their children completed age appropriate chores daily. They didn’t fall behind in grading their children’s work. They encouraged and supported their husbands. They exercised regularly. They journaled and read daily. They had weekly date nights with each of their children. They…. You get the picture. In spite of my relentless pursuit to do it all, I failed miserably. Truth 1: Perfection isn’t possible, nor is it necessary. I can love and serve my children imperfectly and it will be enough. I can fail them miserably and my failures can be corrected. I can fall short in a hundred different areas of my life, and my children can still be the people they were created to be. They can still know they are deeply loved. Truth 2: Be intentional about deciding what’s important. Stop listening to all of the voices that tell you what you should be doing, and listen to the desires in your own heart. What do you long to do? What’s really important and why is it important? What are the core values of your family? Focus your energy on what you really care about and forget about the rest –WITH NO GUILT. If you need help with this, visit Susan Seay’s website. 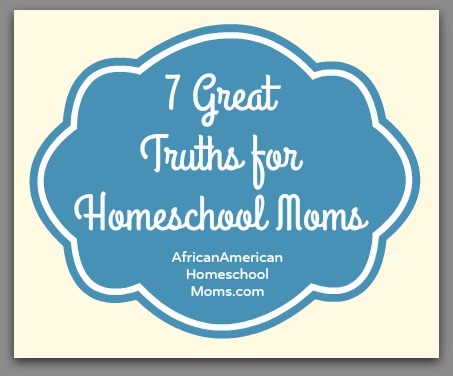 She is a homeschool mom who helps fellow moms be intentional witht heir parenting. Truth 3: Remember, homeschooling is not a sprint. It’s a marathon. Rome wasn’t built in a day. Your children are learning and developing. You are learning. Your family is in a continual state of change. Enjoy the journey and be patient with yourself–and your children. Truth 4: Keep the end goal in mind. Think about the kind of people you want your children to be. Think about the kind of skills you want them to have. Then make decisions that move you towards your goals. The key is to continually make progress. Without a goal in mind, you’ll be all over the place. Truth 5: What works for one family won’t work for another. Some dads help with homeschooling. Some dads travel a lot. Some families are naturally very organized. Some families live near their extended family. Each of our family dynamics are different. Each of our finances are different. Each of our childhood experiences are different. Each of our personal preferences are different. Each of our life circumstances are different. Therefore, we should not expect our homeschool to look like anyone else’s, nor should we compare. It’s just not fair. The comparison will NEVER be fair comparison. Besides, each of us was designed to be an original. Celebrate your family’s uniqueness while admiring the uniqueness of other families. Truth 6: What works in one season of life, may not work during another season. When my children were very young, we were home most of the time. I cooked three meals a day. I made biscuits, pancakes, oatmeal, etc from scratch fro breakfast every morning. Cereal was completely out of the question because it was processed and unhealthy. These days, my children are very active in sports and other activities and I have a business. I’m in a new season where it’s more important for me to use my time to support my children’s interests and to provide financially for the needs of my family. In this new season, it’s important that breakfast be quick and easy, so on some days, my children eat cereal or other easy foods for breakfast. Truth 7: Please don’t try to do it all. Rest. Ask for help. Let some things go undone. Life will go on just fine with dirty floors, uncombed hair, or when a kid does not complete a math lesson. Take a deep breath. It’ll be ok. Enjoy this beautiful, amazing journey that you’ve been priviledged to experience with your children. It truly is a blessing to have the opportunity to educate our children from home. Before we know it, our homes will be empty, clean, and quiet. If we internalize these truths, we won’t care about the curriculum we chose, we won’t care that we didn’t go on that one field trip, and we won’t care that we are always behind on our laundry. We will care about the relationships that we’ve developed, the memories we’ve made and the lives that we’ve impacted. We will care that we’ve prepared our children to be people who are healthy, and responsible, to be people who are ready to love and lead their families well, and to make a positive difference in this world. At the end of the day, it all comes down to love. Today’s post was written by Alecia Baptiste. Alecia is the wife of 21 years to the most patient and gracious man on earth. She is the mom of four children who have revealed much about her imperfections and her own need of Divine intervention. She resides in Leander, TX where she is a writer, speaker, mentor, and life coach for moms. She empowers moms to become the amazing women they were created to be. 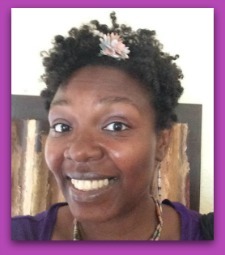 You can connect with Alecia on Facebook or at her website, Alecia Baptiste.